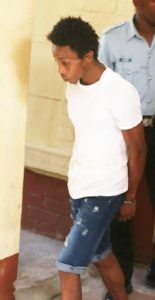 A 30-year-old man who is accused of the gruesome killing of a Pandit and his son was yesterday charged and remanded to prison after he appeared before Chief Magistrate Ann McLennan in the Georgetown Magistrates’ Courts. Orlando Douglas, of Campbellville, who appeared to be calm throughout the court proceeding, was slapped with two counts of murder. The first allegation stated that between July 7 and July 10 at Craig Street, Campbellville, Georgetown, he murdered Deonarine Liliah, a Pandit, during the course of a robbery. It was further alleged that during the same period, he murdered Gopaul Liliah, the Pandit’s son, during the course of a robbery. Douglas was not required to plead to the charges after they were read to him by the Magistrate. Attorney-at-law Melvin Duke claimed that his client was held for two consecutive 72 hours without being allowed a lawyer. The lawyer went on to tell the court that his client was never linked to the murders. On the day in question, he was merely at the scene watching the undertakers remove the bodies. Duke further stressed that police officers picked out his client from the crowd and told him he ‘look like a suspect’, and arrested him. Deonarine Liliah and his son Gopaul Liliah. Police Prosecutor, Gordon Mansfield who prosecuted the matter told the court that Douglas was arrested at the crime scene after police were able to track one of the phones that belonged to the deceased. The stolen phone was found in his possession. The prosecutor went on to tell the court that while in custody, Douglas gave police a caution statement admitting to the offence. He was also placed on an identification parade and he was pointed out by someone who saw him entering the home. The Chief Magistrate after listening to the prosecutor remanded the defendant to prison. He was instructed to make his next court appearance on July 31. Deonarine Liliah, a 61-year-old Pandit and businessman, and his 28-year old-son Gopaul Liliah were found dead last week, in their Lot 25 Craig Street, Campbellville home with multiple stabs wounds about their bodies. The father and son were discovered after a tenant who live downstairs made a report at the Kitty Police Station after neighbours complained about a stench coming from the upper flat of the home. Police arrived at the scene and found Deonarine Liliah lying on his back in the living room. He was clad in white long pants and his face was covered with a multi-coloured top. 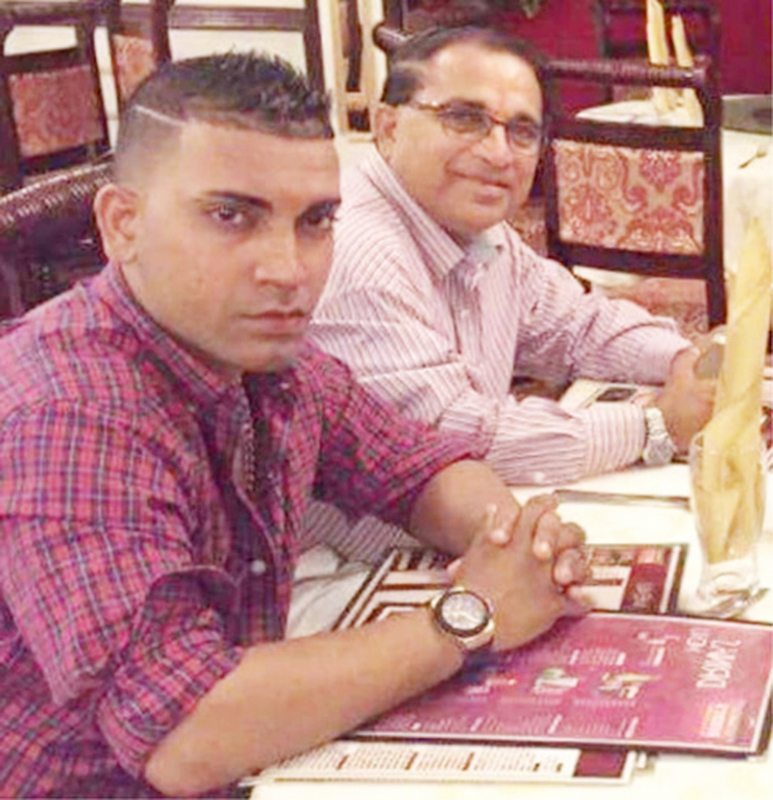 Police have also detained a businessman who is believed to have hired the defendant to kill Deonarine Liliah and his son to avoid repaying a US $40,000 debt. Investigators say that after butchering of the father and son, the killers conducted an unsuccessful search for a document that the mastermind had signed regarding the money that he owed. Their actions were reportedly recorded by hidden CCTV cameras in the house. An autopsy revealed that the victims had been stabbed 66 times. Police reportedly recovered CCTV footage, which showed an unidentified male jumping the western fence and entering the home, through the northern front door.